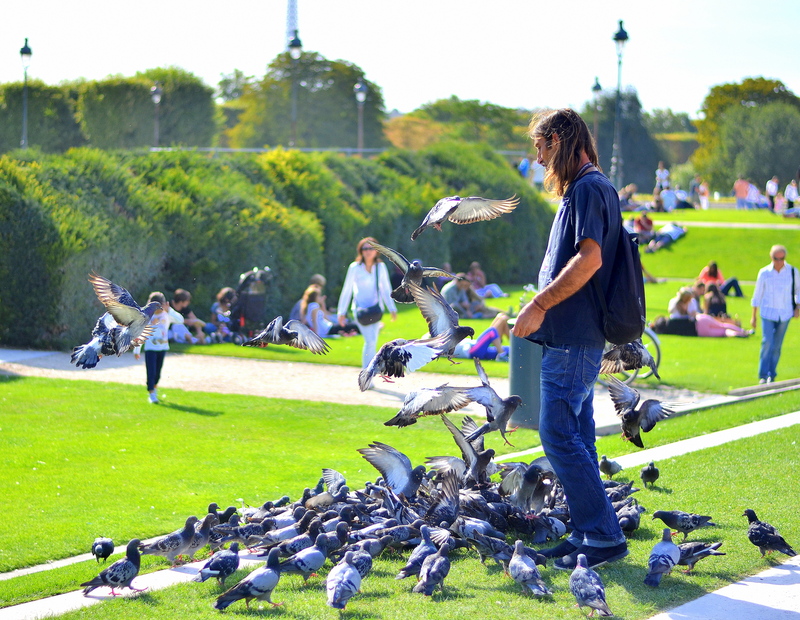 TUILERIES BIRD WATCHER. One of my favourite travel quotes reads: 'Bizarre travel plans are dancing lessons from God'. When bizarre things happen that aren't even planned, I think it would be appropriate to jump on the subject of the moment and call them twerking lessons. 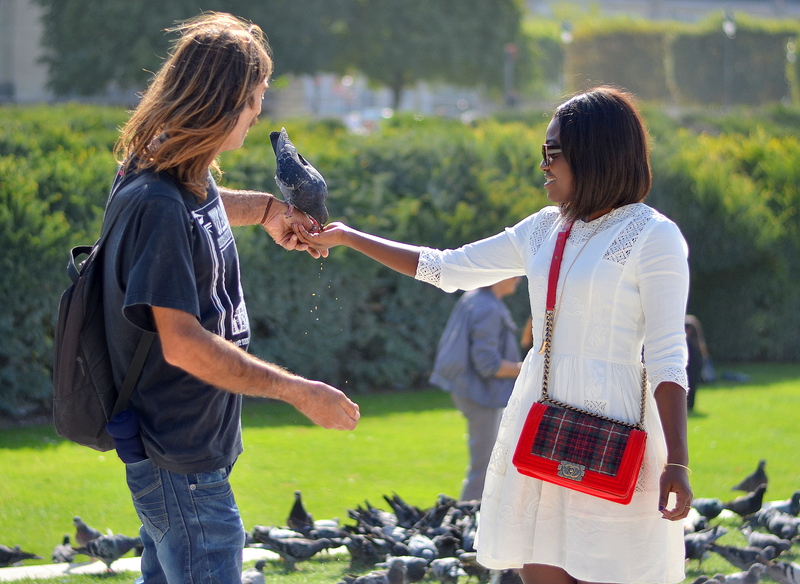 Typically, there's nothing awfully bizarre about feeding pigeons. It's gross though. I mean, I could do it round the corner at Trafalgar Square if I really felt so inclined. But, the fact of the matter is that I do not like pigeons. 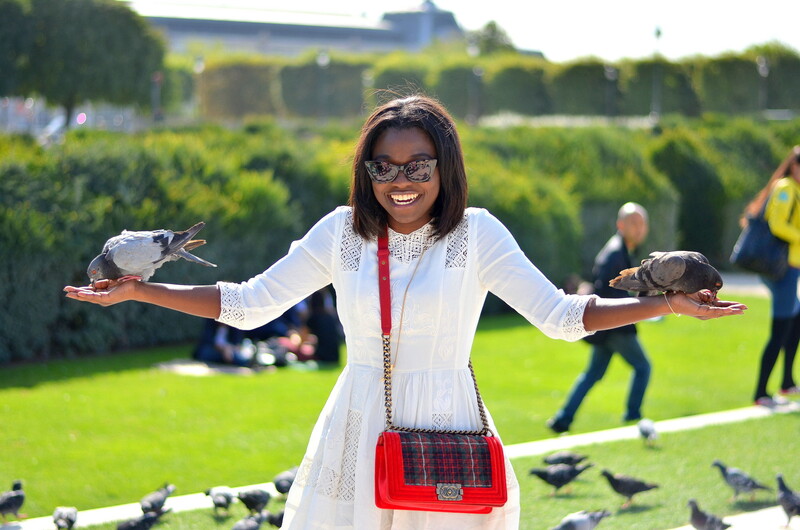 I avoid pigeons like a plague in London and I would never on my wildest day let a pigeon perch on my arm. 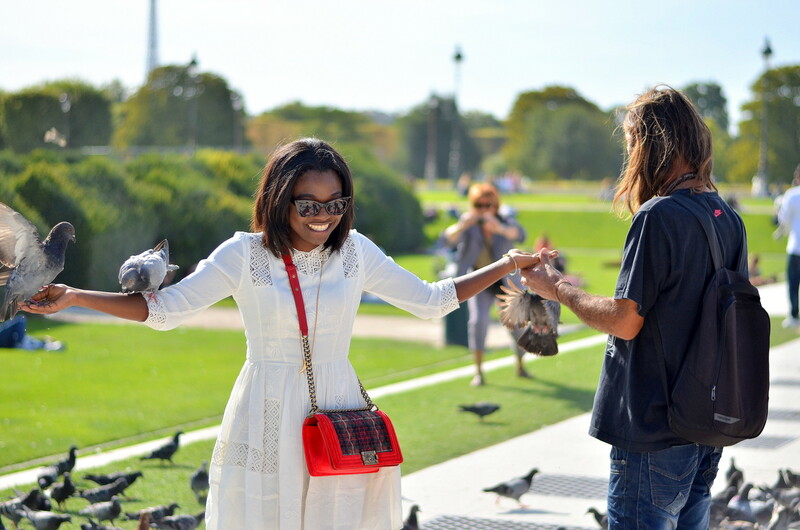 But, take me to Paris and I find something sweet and romantic about calling and feeding birds in the Tuileries. I wonder what it's called: this ability to see beauty in everything, everywhere apart from home. 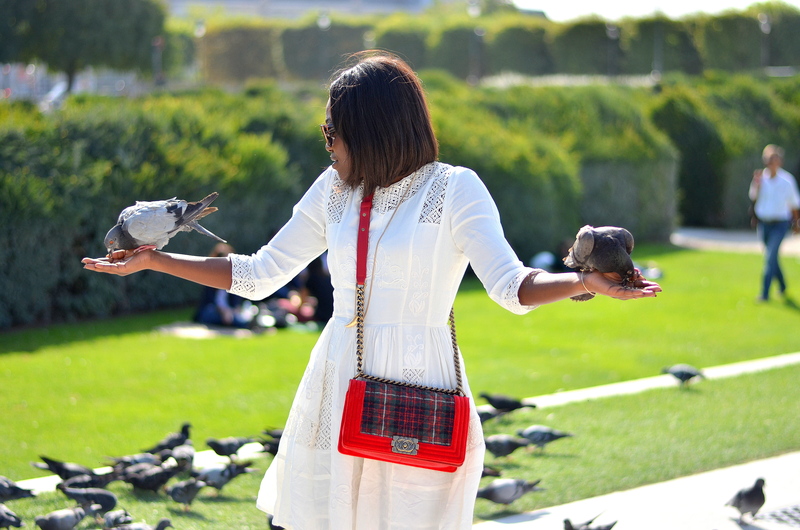 Fashion Blog • Travel Blog | Tagged: France, paris, tartan chanel boy bag, Tuileries, velvet chanel boy bag | 10 responses. Your pictures are gorgeous but the way you write is amazing! I always look forward to your little write up in each post…I guess what I’m trying to say is, your write ups make the pictures so much more beautiful. Story of all our lives. I heard that we should water our grass and things might change.